The secret to having nice, glowing skin is hydration. 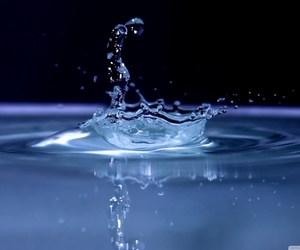 Hydration means elasticity and elasticity mean anti-wrinkle protection. Cold weather and wind are some of the factors that cause excessive drying of the skin. On the other hand, heat reduces humidity, which also dries the skin. If commercial products and expensive creams do not provide the results you want or you simply want to avoid dyes, preservatives and other chemical compounds that are inside these products, a great alternative is to turn to natural methods of hydration. Let’s have a look at some of the top facial moisturizers. 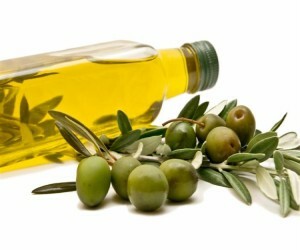 Olive oil has been for thousands of years the “elixir of beauty” Mediterranean region and beyond. Although it is now available in almost every corner of the world, its excellent beauty properties are often ignored for common trade cosmetics. Olive oil has a high content of vitamin E, which is an important antioxidant that protects the skin from ultraviolet rays. Every night, soak your fingers in olive oil and apply to the eyes, making sure that the oil does not get into your eyes. Massage gently and let oil into penetrate the skin. You can also use it right after tweezing your eyebrows or waxing. It will calm redness and irritation. When it comes in contact with hot water, the pores in the skin open, allowing deep accumulation of vitamins and minerals. So, the best solution is the use of olive oil right after a bath or shower. Buy a ripe banana. Put half of it in the blender and when it becomes a smooth silky paste, mix it in with a teaspoon of honey and another one of grape seed oil. Apply the mask to clean skin, leave it on for 15 minutes, then remove it with warm water and wipe your face with a paper towel. 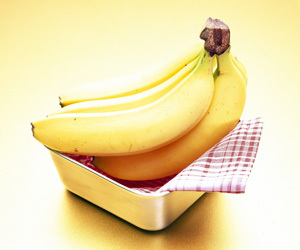 Banana has in its composition an impressive number of nutritional products and vitamins that nourish. In addition, honey also has a number of benefits for the skin: primarily, it can be used even on the most sensitive skin and secondly it has tremendous healing powers making it very suitable for a skin with problems, such as acne. If used on long term, honey reduces fine lines and wrinkles and gets rid of all factors which contribute to premature aging, while restoring damaged skin. Almond oil is an excellent remedy for dry skin. Although it can be used for any type of skin, almond oil works wonders on dry skin prone to irritation and itching. This type of oil is widely used in cosmetics because of its wonderful properties and light consistency. It is rapidly absorbed into the skin and doesn’t leave any greasy traces, as it would happen with other oils. Almond oil is applied after being heating or after a bath, when your pores are open and the oil can be absorbed quickly. A drawback is that almond oil is priced quite high, especially if we talk about best quality oil, which is obtained by cold pressing. However, it is worth the financial effort. Traditionally, sesame oil was used to treat various skin problems such as eczema, burns or hair loss. Sesame seed oil is used in Ayurvedic massage, especially due to its ability to quickly penetrate the skin into the deeper layers. It hydrates intensely and has a natural detox effect. 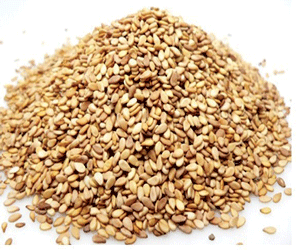 Its moisturizing properties are exceptional, due to the large amounts of vitamin E present in sesame oil. It also has a high content of iron, phosphorus and magnesium. Copper, an element that is in sesame oil has great importance in the synthesis of collagen and elastin, which keep the skin’s firmness and prevents wrinkles. Heat some sesame oil in a pot on the stove until it reaches body temperature. Apply it on your skin, massaging gently. Rinse with warm water, but do not use soap. We said before that moisturizing products are best used after taking a shower, because of the fact that heat opens the pores, which allows essential vitamins and minerals to be easily absorbed. Boil two tablespoons of marigold flowers in two liters of water. Wait five minutes then lean over it, cover your head with a towel and try to sit undisturbed for 5-6 minutes with breaks every minute. Finally, you can apply any of the following treatments. Olive oil is great by itself, but when combined with eggs, it becomes a moisturizing bomb. 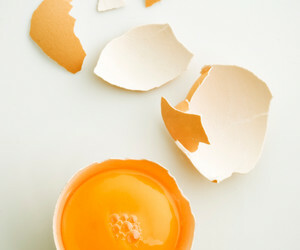 Mix an egg white with a teaspoon of olive oil and apply the mixture on your face, neck and chest. After 5 minutes your skin will start tightening, but try to hold on at least 15 minutes, then remove the mask with warm water and clean the skin with a paper towel. And you just made yourself a top facial moisturizer. Olive oil provides intense hydration, while the egg whites intensely regenerate your skin because they contain natural collagen. Who thought all you needed to moisturize was right in your kitchen. Pamper your skin with a mask made out of egg yolks, olive oil and vitamin A, which gives skin the elasticity it needs and restores vitality and shine. 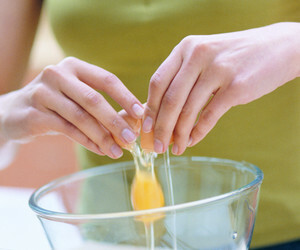 Mix a raw egg yolk with 15 drops of vitamin A and a teaspoon of olive oil. Apply all over your face and leave the mask on for 20 minutes. Then rinse with lukewarm water. It worth trying at least one the almond oil and avocado combination. Avocado is one of the fruits with the highest content of antioxidants that prevent premature skin aging and cell degradation and the oil inside it has regenerative properties, intensely moisturizing and giving the skin that special movie star glow. 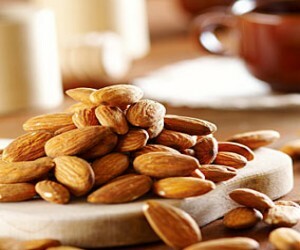 Meanwhile, almond oil contains vitamin E, which gives firmness keeps elasticity. 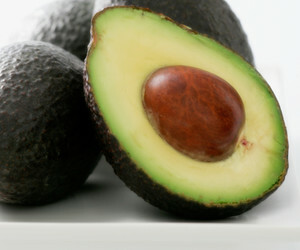 To prepare an avocado mask you’ll need a blender, and avocado and five tablespoons of almond oil. Apply to face and leave on for 15 minutes. Amazing top facial moisturizer. 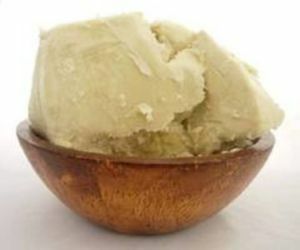 Shea butter is a skin miracle, especially when it has not been processed. Depending on the brand it can be a little bit expensive, but once you buy it, you won’t need moisturizer for a long time. Keep it nice and cool in the fridge and enjoy a refreshing moisturizing effect, especially in the summer time, when due to all the heat, moisturizer becomes a drag. Apply it every two days before you go to sleep. Make sure you cover your pillow with a towel, because things might get greasy. Last, but certainly not least on our list in water. Simply because it hydrates skin from the inside. So don’t forget to drink at least 8 big glasses of water. Have you ever tried any of the remedies on our list? Did they work? Do you have any secret, homemade beauty tips of your own, which you would care to share with rest of us? We’re looking forward to hearing all about your experiences with natural ways to keep your skin soft – in the comments!